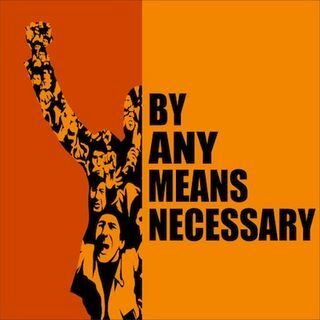 On this episode of "By Any Means Necessary" host Eugene Puryear is joined by Mohammed Shafiq, Chief Executive of the Ramadhan Foundation and Ummah Channel Political Editor, to talk about the bombing in Manchester, England following a concert by pop singer Ariana Grande. In a special second segment Mitchell Plitnick, Political Analyst and the former Vice President of the Foundation for Middle East Peace, joins the show to talk about Donald Trump's visit to Israel and the future ... See More of US relations with Saudi Arabia and Turkey. In today's third segment Eugene Puryear is joined by Ethan Miller and Leanne Gale, IfNotNow and part of a delegation from the Center for Nonviolent Jewish Resistance, to talk about the efforts to rebuild and protect the Palestinian based Sumud Freedom Camp, actions by the Israeli Defense Forces to destroy the camp, and the growing call from American Jews to Israel to end their illegal occupation of Palestine.